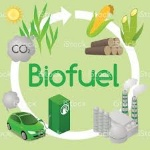 A bio fuel is any liquid derived from biological materials such as trees and crops. you can have a solar paneled house. Stockholm is the most cleanest city in the world. In Columbia there are group of people that wanted to achieve common environmental goals. Capetown and Johannesburg said that they had the most green space in the whole continent. Ecovillages are traditional or intentional communities whose goal is to become more socially, culturally, economically and ecologically sustainable. Ecovillages are consciously designed through locally owned, participatory processes to regenerate and restore their social and natural environments. Most range from a population of 50 to 150 individuals, although some are smaller, and traditional ecovillages are often much larger. Larger ecovillages often exist as networks of smaller subcommunities. Certain ecovillages have grown by the addition of individuals, families, or other small groups who are not necessarily members settling on the periphery of the ecovillage and effectively participating in the ecovillage community.